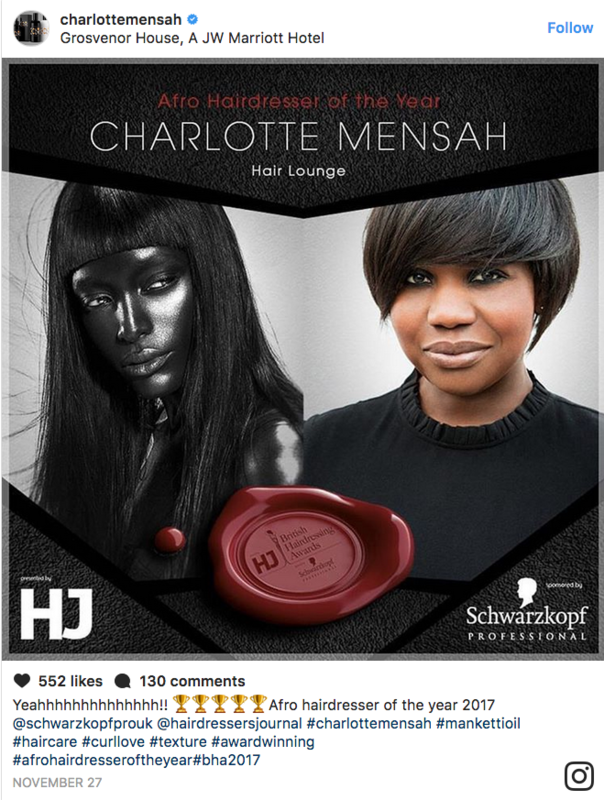 Last night Charlotte Mensah well and truly cemented her status as the queen of curls – for the third time in a row, the Ghanaian-born hair stylist and entrepreneur picked up the prestigious Afro Hairdresser of the Year award at last night’s British Hairdressing Awards. Not only has Charlotte been in the business for over 20 years, her Notting Hill salon The Hair Lounge is where the great and the good clamour to get their locks trimmed, treated and styled, with famous clients including author Zadie Smith, rapper Eve and singer/actress Janelle Monae to name but a few. 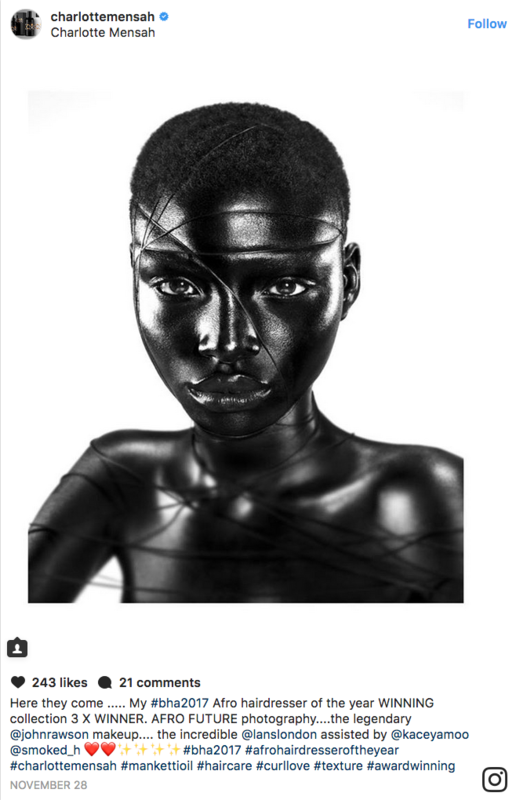 As well as her hat-trick win at The British Hairdressing Awards, she has also scooped up Afro Stylist of the Year at the Black Beauty / Sensationnel Awards last year. What’s more, her Manketti Hair Oil – part of her product range – was crowned Best Product For Afro Hair’ at the Marie Claire Hair Awards 2017, for its ability to delivery a hefty dose of moisture and shine to textured tresses. Losing her mother at 13 – Charlotte became responsible for doing her little sister’s hair and she recalls it being a chance for the two to bond, as well as sewing the seeds for her future career. She became a mum herself at 23, working in hairdressers across London before being awarded a grant at 27 from The Prince’s Trust to set up her first salon in Kilburn. She later moved to Portobello Road where she’s remained for the past 13 years. If you’re after a new ‘do for party season, you can visit Charlotte and her team at 347 Portobello Rd, London W10 5SA.